John Ball Park, 1300 W. Fulton St.
For centuries, the mission of an orchestra such as the Grand Rapids Symphony was to make music. In recent times, the job of a performing arts organization also has been to inspire, motivate, educate and nurture its audience. Today, it’s the duty of an orchestra to connect not only with its usual audience, but with its entire community. It’s a big job for the Grand Rapids Symphony, now made easier with a $1 million grant from the Wege Foundation. The Grand Rapids-based foundation has awarded the Grand Rapids Symphony a grant of more than $1 million to share live orchestral music with a broader audience through initiatives that build diversity, equity and inclusion initiatives into all of the orchestra’s activities. 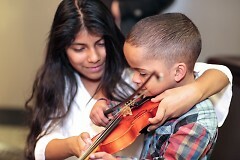 The four-year grant totaling $1.1 million will add new positions, create new concerts and events, and develop new music educational opportunities alongside the Grand Rapids Symphony’s Gateway to Music, a matrix of 17 education and access programs that already reach 86,000 children, students and adults across 13 counties in West Michigan. 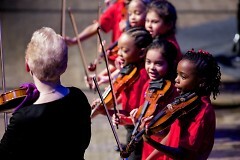 Past successes in collaborating with community partners include the Grand Rapids Symphony’s Symphony with Soul concert, launched in 2002, and Celebration of Soul dinner and awards ceremony, which has fostered connections between the orchestra and West Michigan’s African-American community for more than a dozen years. 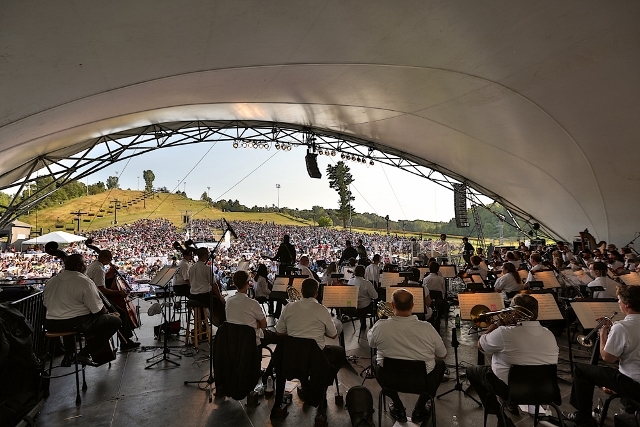 Though the Grand Rapids Symphony touches the lives of 200,000 attendees per year, many more in West Michigan have never experienced a symphony orchestra live and in person. Paul Doyle, who grew up in Brooklyn, was introduced to classical music by his grandmother who originally was from Trinidad. Doyle was in third grade when he attended his first concert in New York City’s Carnegie Hall. Doyle later played French horn through high school. Today, Doyle is founder and CEO of Inclusive Performance Strategies in Grand Rapids, which develops and implements progressive organizational transformation and is working with the Grand Rapids Symphony on this project. Three years ago, the Grand Rapids Symphony launched Symphony Scorecard to open its concert hall doors to a wider audience by providing free tickets to those with financial challenges or economic barriers. Since 2016, the program launched with funding from the Daniel and Pamella DeVos Foundation has supplied more than 8,000 free tickets to members of the community who receive financial assistance from the state or to the families of men and women serving in the U.S. Military on active, reserve or guard duty. Everyone is welcome, according to Lehninger. The Grand Rapids Symphony’s next steps will be to take the orchestra out of the concert hall and into the neighborhood. Community concerts begin in July with a free, outdoor concert in John Ball Park. Associate conductor John Varineau will lead a program of light classical music, featuring guest vocalist Edye Evans Hyde, at 7 p.m. on Saturday, July 21 in the park on the West Side of downtown Grand Rapids near John Ball Zoo. Future concerts will be held in familiar venues in other neighborhoods in the city. A Community Engagement position on staff to develop, manage and coordinate all Grand Rapids Symphony activities to serve an audience that’s growing more diverse every day. A Musician Fellow who will perform with the Grand Rapids Symphony. During the two-year fellowship, the musician will be mentored by GRS musicians and gain practical experience toward launching a career as a professional musician. The Wege Grant also will fund the expansion of the Grand Rapids Symphony’s successful Mosaic Scholarship program, a mentoring program for African-American and Latino music students. Created with funding by the W.K. 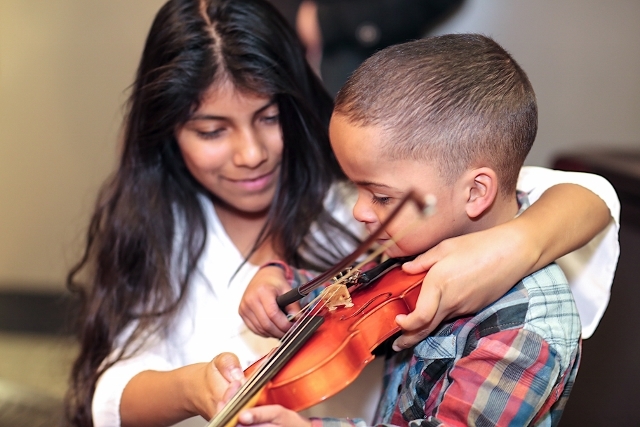 Kellogg Foundation, teens ages 13 to 18 are provided with musical instruments and private lessons with GRS musicians along with opportunities to perform and to attend concerts. A new component, Mosaic Music Majors, will collaborate with music students of color in local universities and colleges to mentor, advise and develop the skills and talents of collegiate musicians seeking to become professionals. Over the next four years, the Wege grant will be a game changer for the Grand Rapids Symphony, according to Associate Conductor John Varineau, who just completed his 33rd season on staff with the Grand Rapids Symphony.